Imagine coming home from a long day of work, you walk through the door, and there’s smoke filling your apartment. You don’t know where exactly it is coming from, but you’ll have to act quickly. That sounds like a pretty tough situation. Now imagine waking up to that. You’re in a daze, and you’ll have to find your way through the hazy smoke if you want to get out of your apartment. Neither of those situations is pleasant to think about, but apartment fire safety is something to keep in mind if you live in an apartment. 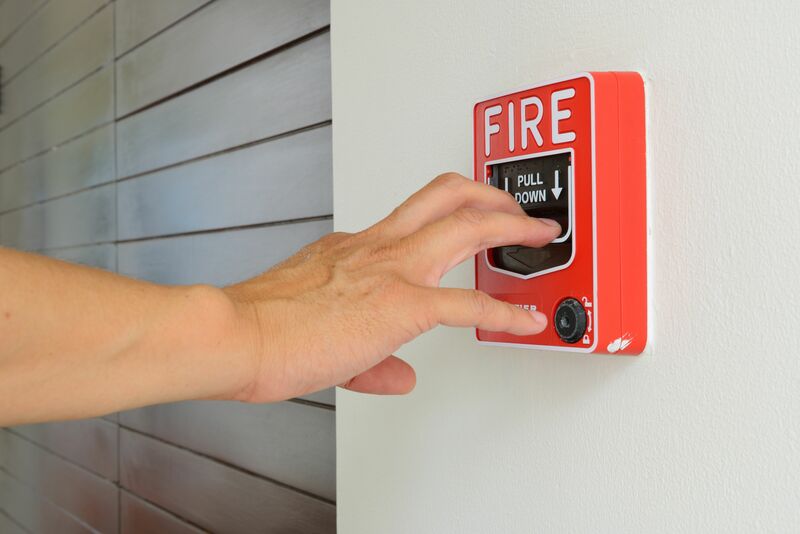 If you do proper upkeep of your fire alarms, you should be able to recognize there is a fire and act accordingly. This is relatively simple. 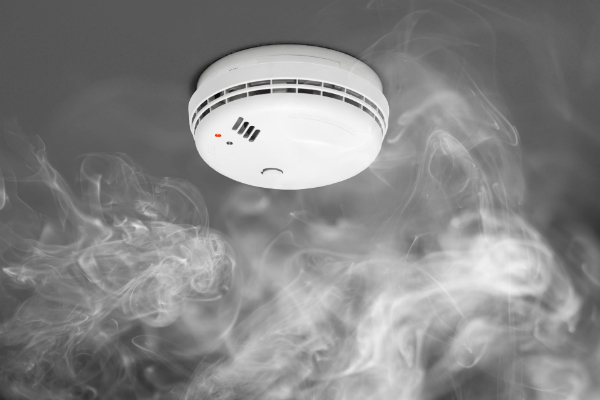 Keep batteries in the fire alarms, which should be replaced about once a year. Also, you should do regular tests of the fire alarms. Many apartment community maintenance teams will help with this. If a fire starts in your apartment, make sure you know a path that gets you out of your apartment quickly. If you’re a messy person, make sure you can wade through your rooms at least enough to avoid the flames. A plan is never a useless thing to have. People mostly have open flames in their homes when they’re cooking, which can happen in several ways. According to the NFPA, unattended cooking is the leading factor in cooking fires, but other ways such as clothing catching on fire from cooking flames happen as well. Don’t fall asleep when you are cooking, and mind the open flames. Electricity-related fires are among the most common types of home fires, so there are a few things to be aware of here. Don’t put too many things on circuits or extension cords. Do something if you notice faulty wiring. If something overheats, unplug it. In other words, use general common sense. If you light a candle, don’t leave all day with the candle lit. That could lead to a fire so easily. It would never be worth the risk. Don’t leave flammable things, like cloth, near a candle, either. Same thing goes for a fireplace. It is really just common sense. In fact, that is the biggest takeaway from this: just use common sense, and in most scenarios a fire won’t ruin your day.